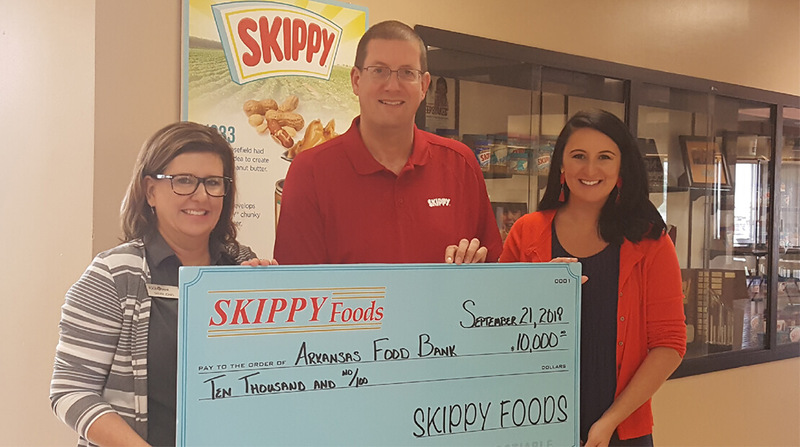 A Little Rock manufacturing company has donated $10,000 to the Arkansas Foodbank to help fight hunger within the Little Rock community. Skippy Foods, owned by Hormel Foods Corporation, announced the donation Friday morning. Skippy Foods has donated funds to the foodbank since 2013. Hormel Foods says this will make the eighth year they have donated funds to several of their companies to share with nonprofits in their communities. In 2017, Hormel Foods donated $300,000 across the U.S. to help fight hunger relief.